How do animals (re)create new tissues? How do some maintain this capacity as adults? Planarians are flatworms with an abundant adult stem cell population and an astounding regenerative capacity. As described by Nobel Prize winner and UK alumnus T.H. Morgan himself, even a small fragment of an adult worm can regenerate into a new, fully-formed animal! These features make planarians an excellent model for studying both stem cell differentiation and animal regeneration. Planarian stem cells are both highly similar to other types of stem cells and yet also unique. Much like pluripotent stem cells in early mammalian embryos, planarian stem cells are highly "plastic"; they both self-renew their own population AND differentiate into all the cell lineages that comprise a mature worm. Yet unlike mammalian stem cells, which are only pluripotent very briefly during early embryogenesis, planarian stem cells maintain their "stemness" indefinitely. In the Duncan lab, we are particularly interested in how regulation of the planarian genome and chromatin state contribute to these powerful biological features. ​MLL1 and MLL2 are chromatin modifying enzymes best known for regulating the expression of Hox genes, transcription factors that specify the animal body plan during development. Interestingly, RNAi of mll1/2 in the planarian species Schmidtea mediterranea (Smed) does NOT prevent — or grossly distort — regeneration. mll1/2(RNAi) worms DO exhibit abnormal motility, i.e. "inch-worming" vs gliding​. 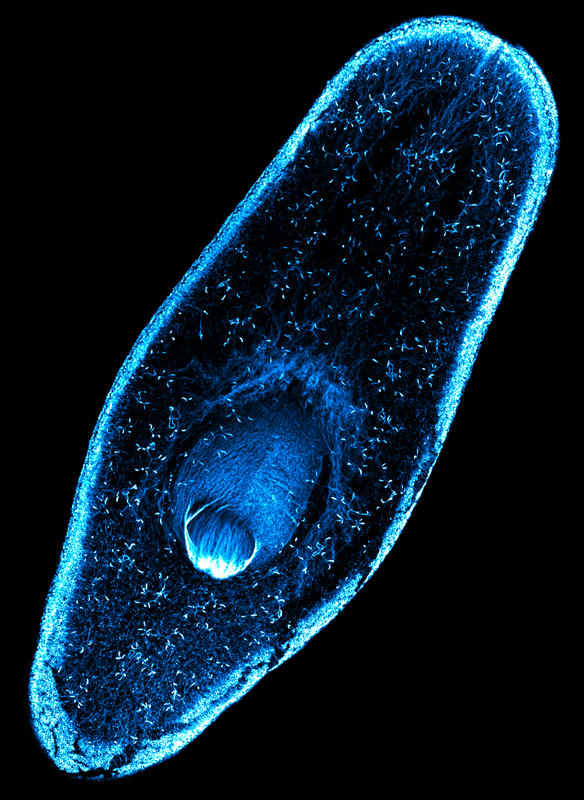 Closer examination reveals that mll1/2(RNAi) worms progressively lose their epidermal cilia. 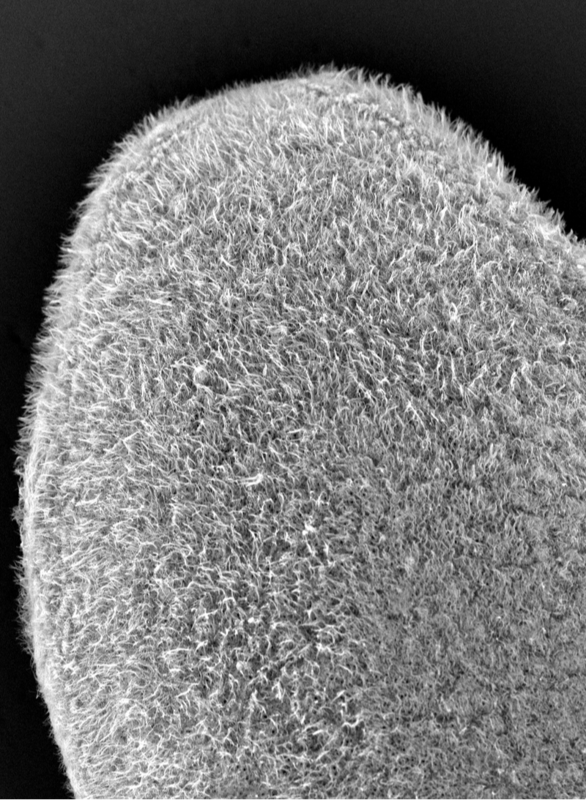 However, preliminary data suggests that other ciliated tissues (e.g. pharynx, kidney units, sperm) are NOT obviously affected, despite the fact that SmedMLL1/2 targets cilia genes in the stem cells. This project aims to characterize and dissect the tissue specificity of the mll1/2(RNAi) phenotype. We were surprised to observe that SmedMLL1/2 targets cilia gene loci in stem cells given that planarian stem cells are not ciliated. We hypothesize that this targeting serves to "prime" these loci for later expression, i.e. upon differentiation to ciliated cell types. We are interested in understanding the nature of this "priming". Is SmedMLL1/2 priming a stem cell autonomous mechanism, independent of external signals? Or a non-autonomous mechanism, dependent on external signals? If the latter, what are those signals? What are their source(s)? This project addresses whether gene targeting by SmedMLL1/2 in stem cells is dynamically regulated by their organismal context. Another aspect of SmedMLL1/2 priming we want to understand is how the expression of these target genes is regulated. Given that MLL1/2 catalyzes a post-translational modification normally found on actively transcribing genes (histone H3 lysine 4 trimethylation), it's interesting that SmedMLL1/2 preferably targets non-expressed and/or lowly-expressed genes in planarian stem cells. ​Moreover, the genes targeted by SmedMLL1/2 in stem cells ARE highly expressed in differentiated cells. We are interested in the mechanisms controlling these divergent states. How are SmedMLL1/2 genes kept inactive in planarian stem cells? How are they activated in differentiated cell types, e.g. epidermal cells? This project aims to address the molecules and mechanisms regulating the expression of SmedMLL1/2 target genes in a cell-type specific manner. ​Please ​contact us​ to find out more!